Hi, my name is Muhammad Tanveer Hussain, an active and dedicated translator with more than 7 years of experience. I am passionate about facilitating productive cross-cultural relationships...Read moreHi, my name is Muhammad Tanveer Hussain, an active and dedicated translator with more than 7 years of experience. I am passionate about facilitating productive cross-cultural relationships and have created extensive informational material and coursework to help colleagues understand and develop cultural sensitivity. 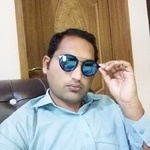 I am a native English speaker from Pakistan and experienced translator in the French/ English/Spanish/POLISH/German/Italian/Urdu,Hindi/Finnish/Dutch/CHINESE/Russian/Slovak/Portuguese/ languages pairs with experience in translating marketing content, blog posts, financial documents and articles, legal documents, technical specifications, literature, and much more. In addition, I have extensive experience editing and writing business correspondence in English. I also have a Bachelor's Degree in languages and experience in academic style writing, advanced grammar and linguistics. I wish to apply my detailed knowledge of grammar and language to help you to achieve a technically exact or pleasantly creative product, as you see fit. I am also expert in Transcription.. I can transcribe both audio and video files, like a conference, Legal & Medical, voicemails, meetings, interviews and a lot more. I do verbatim and non-verbatim transcription.so I am fluent, both in spoken and written English.My English language skill is very good. I am good with computers, good with Microsoft Office programs like Word, Excel, and PowerPoint, so I can have your transcription prepared in the best possible way. I am really looking to getting started here and getting more work, so I can prove myself here as a great transcriber.